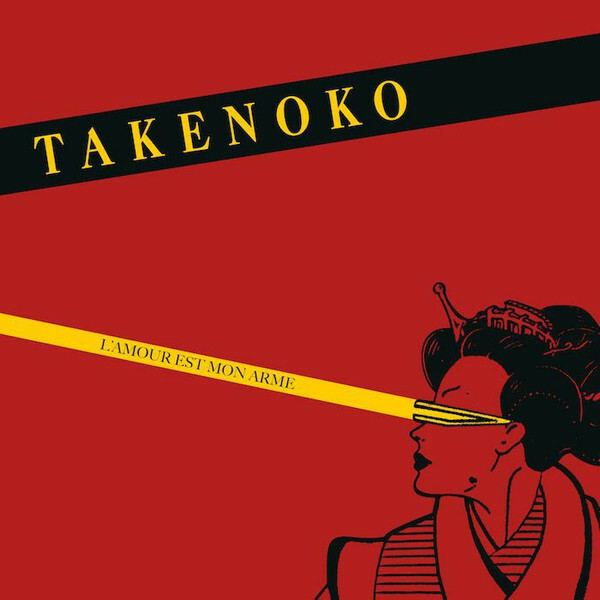 Emotional Rescue presents French 80s electronic band Takenoko and their unique and quirky euro synth-pop, here as collected works from 1982 to 1988. The compilation includes their 3 singles plus a number of unreleased songs heard for the first time. Formed in 1981 when Bruno Aujard, Jean Louis Simonet and Jean Michel Louisor met in Bordeaux, France, the trio took their admiration of post punk bands like Talking Heads and Gang Of Four and mixed it with the pioneering sound of Kraftwerk and the new wave of UK electronic bands and set about composing songs with the simple aim to make people dance. Encompassing their interest in Japanese culture, Takenoko, meaning young bamboo shoot  a metaphor for teenager in Japan  was born. Initial demos were soon signed and Elle à Tokyo was released on 7 in 1982. A vision of the Far East garnered from magazine stories of Geishas, robots and the arrival of the modern, movement of designers, such as Yohji Yamamoto. Their second single, Lee Harvey Oswald, didnt appear until 1985. This time darker, the song reflects on the assassination of Kennedy from the perspective of infamy. Questioning human relations became a theme, the contrast and under-lying violence between them. Their final single, Trans Amor Express, was released in 1988 and expressed their synthesized euro pop to the max, transporting the listener across a world of sensuality and was backed by anthemic John Wayne, also included here, as with all, in remastered form. Recording throughout this period, 4 unreleased songs are fully realised for the first time. From the driving Pas de Petit Garçon to the leftfield leanings of Les Guerriers, the Yello-esque Love Is My Weapon and finally, the off kilter closer, Rendez-vous à Malibu, the band finally can be heard as intended, a perfect encapsulation of a new, optimistic, European sound, transposed by the technologies coming to hand.